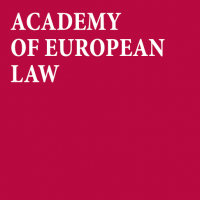 For the past year, the Academy of European Law has been working on a new project: Equality Law in Europe: A New Generation. The project aims to provide researchers and the general public with new tools to analyse recent developments in EU anti-discrimination law. A central component of our project has been the development of datasets that code all cases decided by the CJEU involving allegations of discrimination on the grounds of gender, age, race, disability, religion, sexual orientation and ethnicity. The datasets cover all cases from 1971-2018, and will be continually updated as new cases are published by the Court. We invite you to learn more about our project and to download our open-access datasets and user guide. In conjunction with this announcement, we are issuing a call for papers for a conference on EU equality law to be held at the European University Institute on 10-11 October 2019. Proposals that engage with questions raised by analysing the Equality Law in Europe: A New Generation datasets will be given priority in the selection process. 11 October 2019: Full-day conference. On the afternoon of 10 October, we will hold a training session for those who wish to learn more about how to use the datasets. the opportunity to present and exchange ideas with a community of scholars specializing in EU anti-discrimination law. Should you have any questions at this stage, please feel free to contact Jeffrey Miller (jeffrey.miller@eui.eu).